During the winter months I begin to crave offal. I’m not sure why ~ you can call me weird if you wish. Maybe it’s the lack of sunlight, the blustery cold days, a lack of iron. Whatever the reason I’ll often make a simple pate to have on hand in the fridge. Do give this recipe a try. 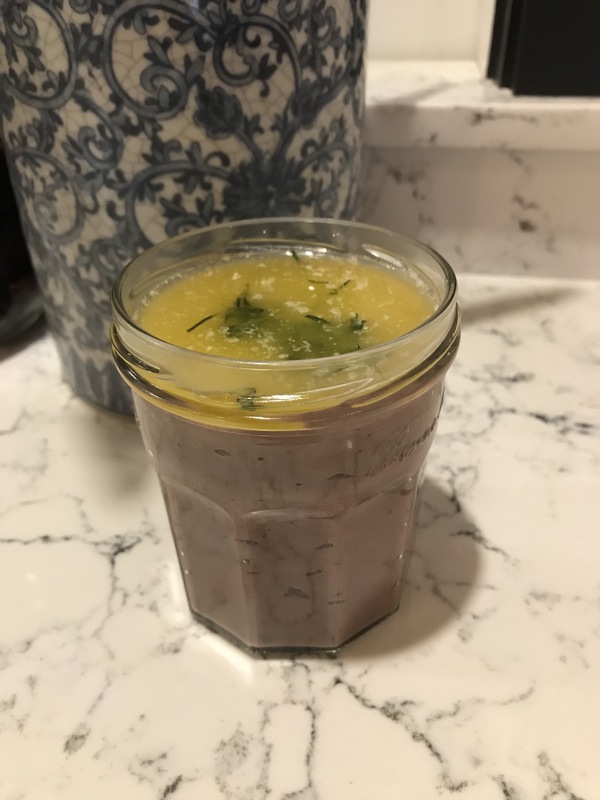 It’s easy, is good for you (liver is considered a brain food) and is super tasty. Using about 1/3 of the butter, sauté the eschallot until softened. Add the livers and cook (don’t cram the fry pan ~ do in batches if necessary), turning until they are well sealed on both sides. They have a tendency to spit a bit so watch out for that. Add the herbs, a good pinch of salt and pepper and the brandy (you can flame the brandy if you wish) and cook for a further minute or so. Remove from the pan and allow to cool slightly. Place all into the blender of your choice, add the orange juice, another 1/3 of the butter and blitz until you are happy with the consistency. Taste and adjust if necessary. Put into jars, leaving about 1cm room at top. Melt the remaining butter and pour over the top of the pate. Garnish with thyme leaves. Chill for at least an hour. The pate will keep for 5-6 days in the fridge. Serve with crusty bread and a dry champagne or a pinot noir. Your choice. 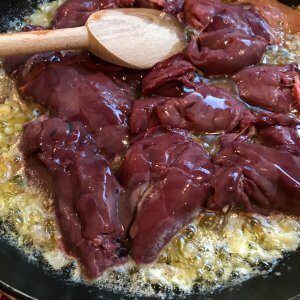 Do you like offal? What’s your go-to recipe?